The first book to offer an integrated reading of ancient Greek attitudes to laughter. Taking material from various genres and contexts, the book analyses both the theory and the practice of laughter as a revealing expression of Greek values and mentalities. Greek society developed distinctive institutions for the celebration of laughter as a capacity which could bridge the gap between humans and gods; but it also feared laughter for its power to expose individuals and groups to shame and even violence. Caught between ideas of pleasure and pain, friendship and enmity, laughter became a theme of recurrent interest in various contexts. 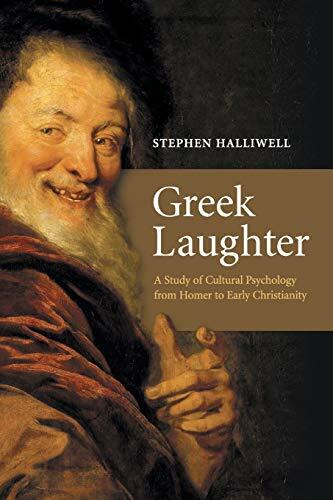 Employing a sophisticated model of cultural history, Stephen Halliwell traces elaborations of the theme in a series of important texts: ranging far beyond modern accounts of 'humour', he shows how perceptions of laughter helped to shape Greek conceptions of the body, the mind and the meaning of life.